Subscribe to receive tips, best practice reports and Ecommerce optimization techniques. We are here to help you take it to the next level! How To Rank On Page One Of Amazon in 2019 is part of a series of posts about Dominating Amazon Product Listings. This post will explain how the Amazon A9 Algorithm is changing and what that means for sellers. ​Additional posts covering pre-launch research, competitive analysis, keyword & listing optimization, copy-writing, audience targeting and more will follow. Amazon is undergoing a cultural shift in how it interprets signals which increase ranking on the Amazon search results. Are your products ranked or gaining in rank as you would like? Contrary to popular belief, the magic bullet to get you to the top of the search results does not exist. It is a culmination of many little things that produce stable positioning. The Amazon of 2019 is unlike any other year since it started. Amazon now faces competition. Other platforms are approaching the size of Amazon. 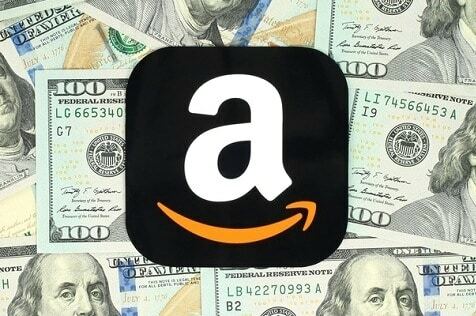 Still others tower over Amazon regarding subscribers are monetizing. The ability build optimized, relevant listings that speak directly to the target audiences motivations and solvable pain points while converting those visitors to buyers is now more important than ever before. To understand Amazon business models, you need to look at the big picture. A9 or the Amazon search algorithm is at the heart of most Amazon decisions. The A9 algorithm was formed around two primary metrics: relevancy and customer success. If you cannot get ranked on A9, you will not have any sales due to no traffic. When a seller creates a new listing, they optimize for two things, getting found by search and converting a sale. Most sellers overlook one or the other when building a listing. There will be an entire post coming up dedicated to this one topic. So far in 2019, Amazon has indicated an increased focus on organic relevancy. That makes listing optimization more important than ever. Organic relevancy occurs when listings are ranked based on content and optimization. Proper keyword choice and location is very important. Traditional SEO professionals see that A9 is once again taking some clues and signals from search progression techniques. Natural relevancy has been a dominating factor in SEO for years. Occasional search-engine wide result scrubbing becoming a normal thing on Google. This has gone on countless times each time the objective being increased relevancy in the results. Expect Amazon to follow its' own path to achieve similar targeted relevant results. 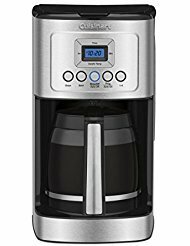 We will use a coffee pot for example. Someone searches for a coffee pot. Amazon strives to provide relevant search results. The buyer clicks a listing, makes a buy and comes back to leave a review. This now has signaled the specific listing is relevant to the search & the buyer converted, so a part of the customer success metric is met as well. If a sun tea jar also comes up in the search results, yet no one ever clicks it, the algorithm will learn and eliminate its ranking for that keyword. A9 uses this method to attribute keyword efficiency which in turn drives conversion and success rates. If all you ever receive is clicks and no sales because your listing does nothing to inspire conversion, then ranking and sales suffer. Amazon is reducing the effectiveness of PPC to drive ranking improvements. PPC will still get you ranked, but it will not push your listing to rank on page one of Amazon. Conversions drive ranking improvements. Amazon has changed the effectiveness of what it sees as manipulated giveaways and excessive promos. Unverified and even many verified reviews written by serial reviewers have disappeared and continue to vanish. Develop a Unique Value Proposition that you can build your message around. Research and identify converting search terms by evaluating the competing asins for keyword phrases. DEFINITION - A buyer persona is a semi-fictional representation of your ideal customer based on market research and real data about your existing customers. Optimize listings that speak to your specific audience appealing to the particular motivation that initiated the product search. Bringing all the pieces above together to create a stellar experience for each buyer is the goal. Days to weeks later you want it to still stand out in their mind as an experience, a solution, that still has lasting or positive effects. You want to get them fired up to want to leave the review, to want to help spread your message so that others can benefit also. It should stand out in their mind as not the typical Amazon purchase experience. They should want to tell everyone they know about it by returning to post a review. Amazon has indicated that excessive promos and unverified reviews are manipulating the pure sense of organic relevance. PPC is legitimate but is not driving ranking improvements as it has in the past. PPC still has the most benefits of the 3. The Amazon A9 search algorithm has already changed results gained from giveaways and promos in some cases. Amazon curtailed the explosive benefit that excessive giveaways & unverified reviews have provided. Many sellers are complaining about the lack of ranking improvements. Paid conversions have lost some weight also while increasing the efficiency of organic conversions and social signals. Amazon already knows it drives a steady traffic stream. Optimized keywords will bring in the Amazon traffic; optimized listings will convert the buyer once on the page. Amazon knows that and expects you to be able to do both or sales suffer. PPC marketing, legitimate promos that Amazon does not interpret as manipulation are still beneficial as strategies. The benefit of using it as the only or primary strategy seems to be where it is becoming less effective. The advantage on Amazon is shifting to those that bake traditional SEO techniques in their listings from the start. While pursuing back-links and social shares as part of their everyday business. The A9 changes suggest techniques for dominating Amazon listings will benefit from brand building, relevant community involvement, list building and driving your own traffic. To do well on Amazon means going back to the basics of listing optimization, keyword research and copywriting. A positive launch will require prior research to expose the keywords that competitors are using to drive traffic. Effective keyword placement in both the title and bullet points while appearing natural is important. Remember, other search engines crawl Amazon listings as well. It is now more important than ever before that you ensure you listings are optimized for other search engines also. How is that achieved? For starters, you will want to ensure that your description is well formatted and easy to read. Other factors that affect search engine ranking are social mentions and back-links from legitimate sources. 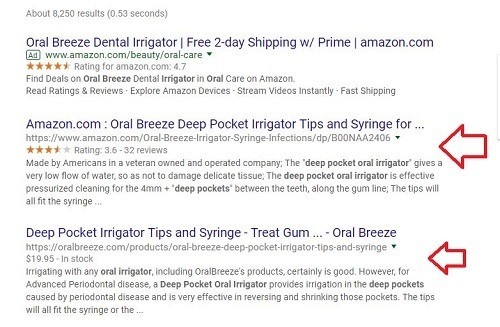 The image below shows an example of Amazon listings appearing in google even before the brand site. It is not always first in Amazon search results and doesn't have the best reviews, but proper SEO got it first position on Google and it drives traffic. It does rank better on Amazon than products with more and better reviews because he drives his own traffic. For sellers that rely on giveaways and PPC to drive traffic as their only strategy, will realize how it effects ranking in the search results.They will be forced to find a new tactic or focus on the listing, product optimization and converting buyers once they are on the listing. Giveaways/Promos will always be of some benefit provided they are handled correctly and in tandem with listing optimization. The rapid rise in rankings achieved by the use of giveaways/promos seems to have been affected although it is not clear yet to what extent. Giveaways and PPC will retain their primary benefit of getting you ranked if done right. They will not drive ranking improvement as they have in the past. Incremental sales and customer success drives rank. Listing relevancy is how Amazon determines how to rank a listing. This is not new; it is a primary tenant of Amazon sales, but a bit clearer now. Utilizing the checklist above, follow it as a general guide of must have steps to ensure sustained success for your listings. This will be dug into with further detail in upcoming posts in this series. Provide an above average buyer experience, motivating a return visit to leave a review, further bolstering the customer success metric. ​As the marketplace matures, Amazon assumes seasoned sellers have this down to a routine as it is not rocket science. It is still complicated for many sellers because they fail to take the time to learn how to optimize listings, keywords and the buyer experience. As a company, we are led by a founder with a very strong SEO and business background. Everything we do is based on and grounded by SEO and traditional business tactics. These tactics were established centuries before the internet and work perfectly when applied to E-commerce. We apply traditional SEO standards to all listing, especially since google indexes the entire listing and not the just the limited sections that Amazon indexes. We also do not rely on amazon as the sole source of traffic. Amazon is a closed loop community, meaning people are only there to buy. Amazon offers them no chatrooms, tools or games so there is only one real reason to be on the site. This means that sellers are all competing for the same traffic. Amazon gains leverage over sellers that sell on no other platforms because Amazon rules and games affect listing traffic. Remember Amazon is also your competitor and routinely ensures its' own products get the most exposure. Amazon can crush a buyer and their business with a simple suspension for correct reasons or not. A great businessman always has a backup plan. Consider how you would react to being suspended. How would you quickly shift gears to ensure that with 24 hours you are back in business selling and generating sales? When disaster occurs, there are leaders and followers. Ensuring a backup plan and thinking it through puts you in a position to step out of the mess and emerge victorious. How should a seller protect their business? How should a seller protect their business yet succeed on Amazon? Sell on multiple different marketplaces, drive your own traffic to your Amazon listings or both. We are seeing clients have positive results through off-Amazon traffic, backlinks and social shares, which drives high converting traffic directly to their listing. Clients that have a steady stream of traffic referrals are seeing the ranks improve faster. It also increases sales and conversions which benefits ranking. A traditional SEO focuses on doing a lot of little things right. All together it creates a site with authority that brings in traffic from many different channels and resources. Sites with these qualities grow and mature into category leaders. At a certain point it completely generates it's own growth because brand awareness and reach has extended and been built out into so many different directions. This should be a staple of your listing strategy. A strategy that only includes Amazon itself and not driving traffic puts you in a position of limited growth. Look at Amazon itself. The names is everywhere and woven into the fabric of our lives more than most can imagine. Not only does Amazon have links to mass media with Jeff Bezos ownership of the Washington Post, it also spends billions advertising on other platforms. What are your strategies to drive the growth of your products and listings in 2019? Leave your ideas in the comment section below.